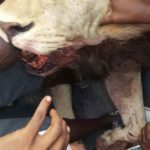 A lion that is allegedly responsible for the death of one cow and two calves on different farms has been shot by members of the community who farms in the communal farming area n the vicinity of Okakarara. The presence of a lion in the communal areas caused a stir amongst residents which prompted Okakarara Constituency Councillor, Vetaruhe Kandorozu, to appeal for help from the environment ministry. “Human wildlife conflict is a threat to farmers because one can lose their belongings that they have invested in and community in that area are even scared to go into the field,” Kandorozu said. 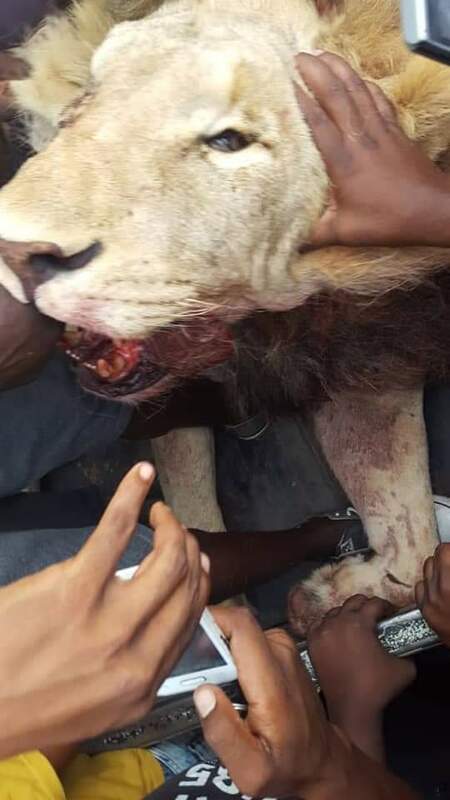 Before the lion was eventually killed by farmers on Thursday, the spokesperson of the Ministry of Environment and Tourism, Romeo Muyunda, confirmed that a lion was spotted near Okakarara and that it is suspected to have come from Tsumkwe where it moved through commercial and communal farming areas east of the Waterberg National Park. Muyunda noted that the lion’s paw prints were also observed at Okaepe village last Monday where it is held responsible where it reportedly killed two calves. A few days later the lion is reported to have killed a cow on a commercial farm. From where the cow was killed officials and community members tracked the predator to the Omingindo Village in the Okakarara area. He said officials of the environment ministry have been tracking the lion which they believe is a male lion. Muyanda also appealed to any member of the community who saw the animal to alert the authorities immediately.